One of the prettiest locations in the Gothic. 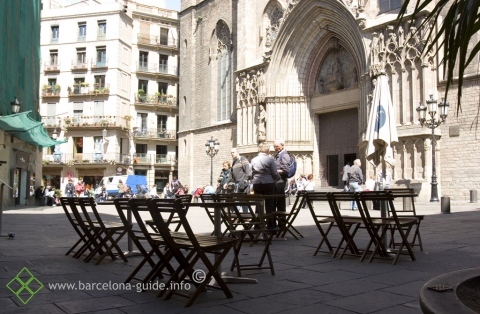 La Vinya del Senyor, wine and tapas bar, is situated in front of the square of the basilica of Santa Maria del Mar in el Born district. Their terrace is always well visited. 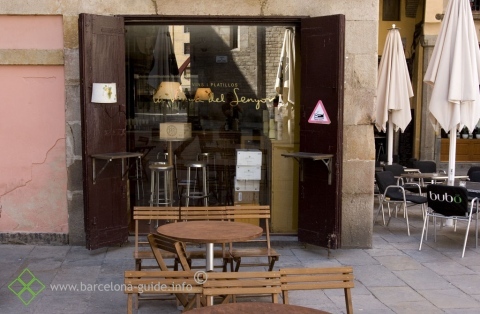 Good quality tapas and a very wide selection of wines (the list changes every two weeks), makes it worth a visit, though the service sometimes is under critic. 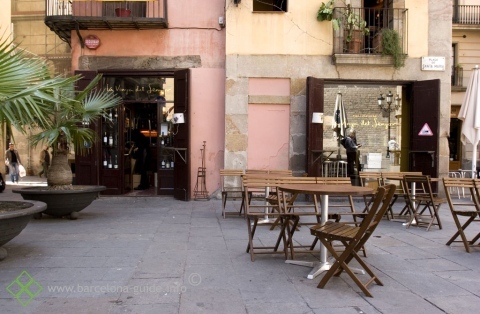 With best location comes high prices, which gives La Vinya del Senyor a lower rating.